Flavorpill has referred to Liz Nord as a “fierce, youthful visionary.” Her past films include Jericho’s Echo: Punk Rock in the Holy Land and a Haiti-based documentary for Wyclef Jean’s NGO. Liz also ran MTV’s Emmy Award-winning 2008 presidential election coverage. 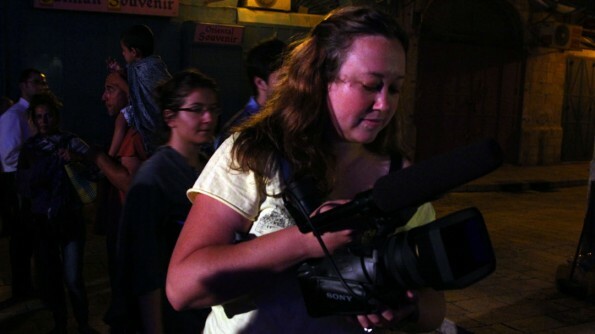 Liz is currently producing the multimedia project Jerusalem Unfiltered, an exploration of contemporary Jerusalem through the eyes of local political, social and cultural leaders. The project includes an immersive website, a mobile app and a documentary film, Battle for Jerusalem. What was the genesis of Battle for Jerusalem as well as Jerusalem Unfiltered? After I worked on the MTV project I was in the mindset of being excited about how young people can affect civic politics, how they can affect the big picture in ways that they don’t always believe that they can. I was invited to the ROI conference in Israel and while I was there I met these young activists who are on the front lines of a culture war that’s happening in Jerusalem. Not the Jewish/Arab conflict that we hear about all the time, but one that’s happening between some members of the minority ultra-Orthodox Jewish community and the majority Jewish population which is more moderately religious or even entirely secular. The ultra-Orthodox population in Jerusalem is rapidly growing in both numbers and in political power. The more extreme factions are increasingly trying to enforce a strict religious lifestyle over the entire population of the city. This affects the city in many ways, from people getting rocks thrown at their cars for driving on Shabbat, to forced gender segregation in places like some public buses, where women are made—sometimes violently—to sit in the back. In recent years these extreme policies combined with economic downturn have caused the young, moderate, working population to flee the city by the tens of thousands. Some activists I met at the conference are part of a new wave of young people who have stayed in Jerusalem and are fighting back. They are committed to preserving diversity and democracy in their city and have thus become increasingly engaged in the local government. Initially it was the mayoral elections: they campaigned for a secular candidate against a very conservative, ultra-Orthodox administration. 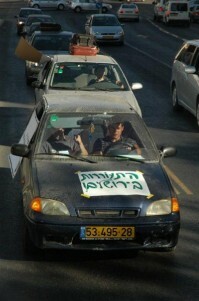 Then they started their own party, Hitorerut B’yerushalayim—“Awakening in Jerusalem”—and ran for city council. They won two spots on the city council, which is crazy because no one had ever heard of them before. The candidate they supported for mayor won as well. Jerusalem is supposed to be this capital, this place in the center of these three faiths and all this stuff and there’s all this meaning placed on it, and yet the rest of Israel is basically abandoning it. These people . . . really cared about their city, they saw it going in a direction they didn’t like, and they stayed there to try to change that tide…and they were starting to be successful. That to me was an amazing story from an important region, that was not being told. In my view that conflict, that sort of battle for the “soul” and future direction of Jerusalem is just as important and potent as Israel’s external battles. What happens in that city determines the future of that country, just as much as any conflict with Palestinians or outside countries. Another reason the story excited me was that one of the ways they were fighting this battle—which is what my TED talk was about—was through Arts & Culture. It wasn’t just through politics; they wanted to make the Arts a pivotal part of how the city was going to express itself. As a person who believes in the power of Art and cultural movements I thought that was awesome. With the Jerusalem Unfiltered website—currently in prototype phase—you are invited to tour Jerusalem and meet these young artists and activists shaping the city’s future through video profiles. They offer you an insider’s perspective on their city, talking about the issues that matter most to them. Is Jerusalem Unfiltered also going to include the Arab population? Definitely. I want to include as many progressive voices as possible from Jerusalem’s various communities. All of the citizens who are featured are in some way involved in keeping Jerusalem thriving and pluralistic, and a lot of those types of activists are secular Jews, but I’m trying to find a lot more ultra-Orthodox individuals who would be willing to talk to me, as well as more Arab-Israelis. It’s really difficult to find Arab-Israelis and Orthodox Jews who are willing to participate, even if they might believe in the mission overall. There are complex reasons for this, including that what they are doing might be at odds with their greater communities, and they don’t necessarily want that so public. Another is that with the ultra-Orthodox Jews it’s not considered modest to be on camera…especially talking to a female filmmaker on camera. How did you find that guy? Tell us a bit about the accompanying documentary, Battle for Jerusalem. 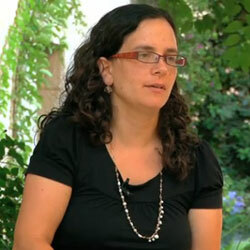 The film focuses on Rachel Azaria, who is a modern Orthodox city council member. She is religiously observant but not ultra-Orthodox, and she’s sort of taken on the ultra-Orthodox leadership and is saying, “Hey, you don’t own this city, you don’t own this religion.” She’s trying to show that you can be religious and respectful of religion and still have a modern, democratic, thriving city…and because of that she’s facing all sorts of objections from that community. One of the Haredi practices she’s fought to reform is the forced gender segregation in public spaces, such as women being pressured to sit in the back of buses that run through Haredi areas. Another is the establishment of gender-segregated sidewalks in Haredi neighborhoods. She’s met with all sorts of opposition. Jerusalem’s Mayor recently stripped her of her municipal committee leadership positions last year after she went over his head to the High Court of Israel and obtained a favorable ruling in her opposition to the gender segregation. Rachel is running for re-election this October, and it’s sure to be a dramatic race. 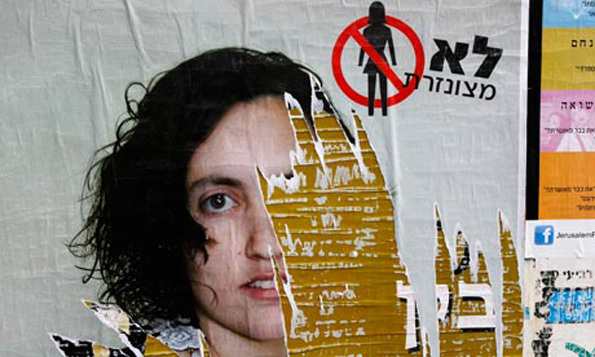 She has sort of inadvertently become a main voice for women’s rights in Jerusalem and despite that fact that she is trying to figure out how to make the city livable for all of its different populations, including the ultra-Orthodox, many people are out to get her. I will be there capturing the whole thing from August through November, and also shooting a bunch more shorts for Jerusalem Unfiltered. 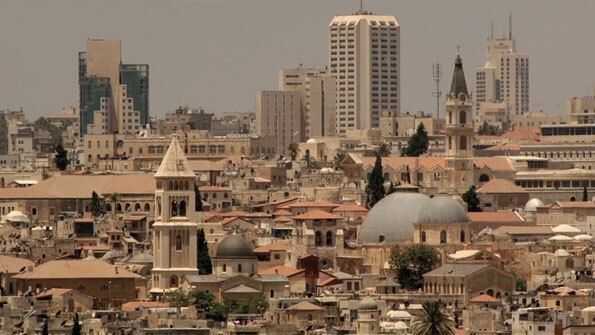 Jerusalem Unfiltered and Battle for Jerusalem are connected, and one of the reasons they’ve been getting so much attention is that it’s not such a traditional path that documentary filmmakers take. I think now more than ever, filmmakers are thinking of multimedia extensions of their projects, but this usually happens after the film comes out as sort of an afterthought. In my case, having a fully integrated website and mobile app come out before the film is an unusual approach and it’s proven to be really positive so far. It’s been great to channel a lot of the footage that I shot on past trips into the Jerusalem Unfiltered website, therefore giving people a much broader context for the city and the story, and getting them invested now, building an audience for the film once it comes out. Along these lines, a piece of advice I would have for creatives is that if you feel stuck in a project or you’re not sure where to go next, it might be worth flipping the order of the traditional steps or somehow just shaking it up. Things may not end up how you expected, but in changing the project up or in being open to doing it in a different way, you end up making the whole thing so much better. What other advice do you have for aspiring filmmakers/creatives? -Don’t be so married to your original idea that you’re not open to a reality that might be more interesting than what you imagined. That’s a big one. -Make sure that—for documentaries at least—it needs to be a film. If your film could just as easily be an article, then just write the article and move on. Making a film is laborious, expensive and time-consuming and if it’s not really a visual story or you don’t have some character who is so compelling that they need to be on camera, it’s worth going down that road. -Build community around your project really early, don’t wait until the product exists—until after you wrote your book or whatever—to get people involved and invested. Those people who are your early supporters, that’s PR no money can buy. They’re people who care about your project and will see it all the way through. So blog about your production, do whatever it is that brings people along for the ride, and they’ll stay with you throughout the project and beyond…and that’s invaluable. Keep up with Liz at LizNord.com. ← The Videographers Guide EP 2: "The Recap Video"